Multidimensions is a leading distibutor and solution providers for Industries and is lead by Mr. Ravi Shah, a Kolkata based Entrepreneur. Mr Ravi has developed Multidimensions from a Brokerage firm evolving to a Reseller and then to an Authorized dealer for Multinational Companies. With a reputable and extensive portfolio of high quality products available, whether you are looking for linear guides, Ball screws, Actuators, Spindles, Ball & Roller Bearings and Conveyor chains, this is your one stop dealer. 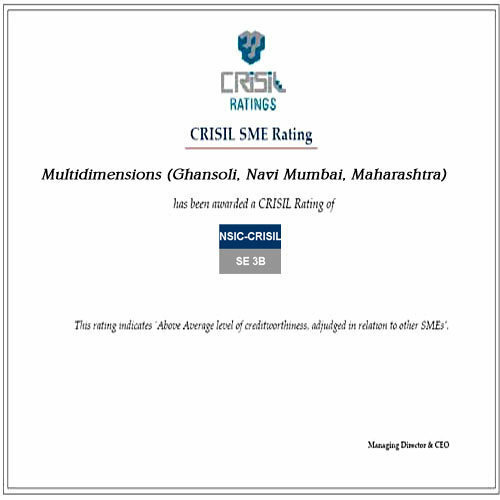 We have grown at huge leaps in last few years and this can be seen in the trust and relationship maintained with our Clients. 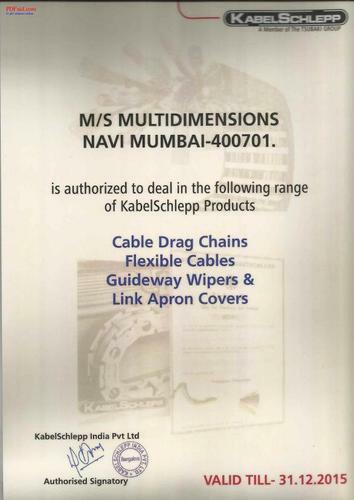 As a reward for our excellent service and brand name in the market, NSK Japan has chosen Multidimensions as their their first Authorized Dealer for their Precisions Components range of products, such as, Linear Guideways, Ball Screws etc. We are also the Authorized Dealer for Konecranes - Finland to serve their RXH Electric Chain hoists range of products for Mumbai and Navi Mumbai Region. We have formed a dexterous workforce, which help us streamline business operations and attain organizational objectives simultaneously. They work in close collaboration with each other to ensure business activity is carried out proficiently. All the above-mentioned members are appointed after a thorough assessment of their skills, knowledge and qualifications. 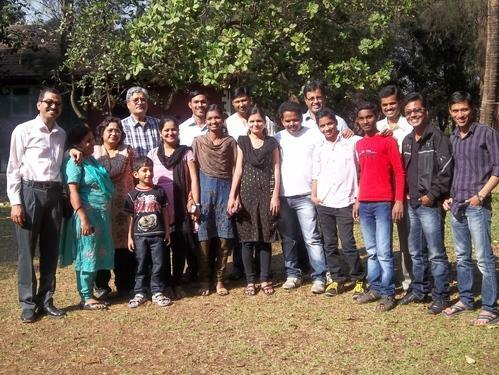 Additionally, we maintain friendly environment at the workplace and also get involved in recreational activities. We have built an extensive storage facility at our premises at Mumbai, Maharashtra. The spacious facility is well-ventilated and is segmented into numerous divisions for convenient retention and retrieval functions. We have appointed experienced warehousing personnel to manage the facility. 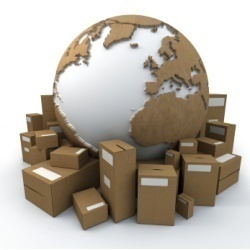 These experts make use of inventory management system to keep record and details of inflows and outflows. Further, the facility is well-connected with all modes of transportation and is equipped with all the essential amenities for safe storage. Membarship of EEPC of India. We have around 300 customers with a business of Rs 2.5 Crores (US $ 0.5 Million) for the FY 09-10. We will be closing FY 10-11 with a turnover of Rs 3.4crores (US $ 0.77 Million). 80% of our business comes from 60 customers, who are mostly OEM’s. 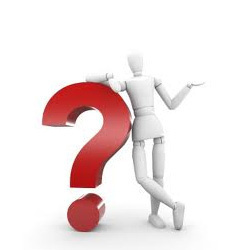 If needed, we may avail the list of our important customers plus another list of our prospective customers, where the business is yet to be started. 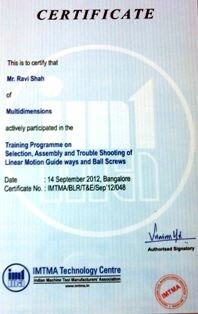 The Membership Certificate of IMTMA. We owe our success in the associated business domain to support of our rich vendors base. Over the years, we have associated with leading organizations to procure our qualitative range. NSK-Japan - Precision components like Linear Guideways, Ball Screws, and Actuators etc. KabelSchlepp- Germany - Plastic and Metal Cable Drag Chains & Conveyor system for electrical application. Nilos – Germany Bearings seals. 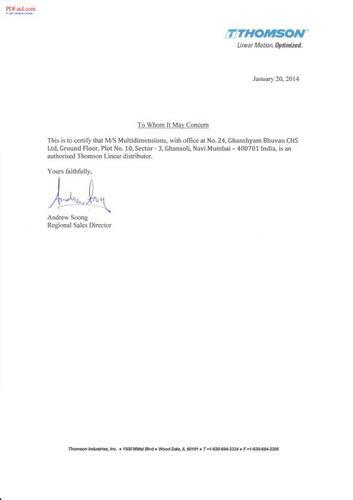 Konecranes – We are responsible to promote their RHX Chain Hoists in Mumbai and Navi Mumbai Region. Owing to their consistent assistance, we have ably catered to the requirements of diversified sectors. 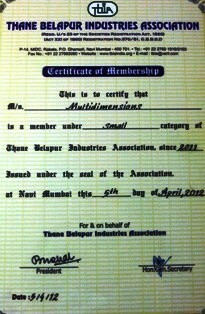 The membership certificate of thane belapur industries corporation. 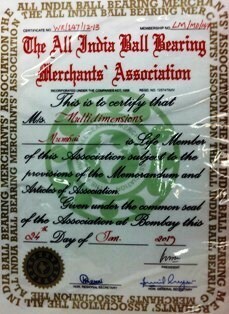 The membership certificate of all India ball bearing merchants association. 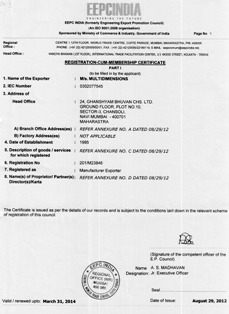 The Thomson Authorised Distributor Certificate. 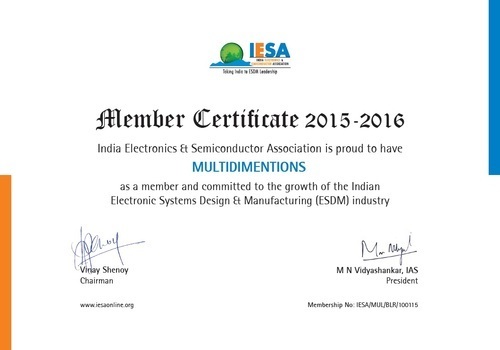 We have evolved among preferred suppliers of an exhaustive assortment of Electricals, Mechanical and CM Services. Owing to our streamlined business functions and organized management, we have catered to the diversified requirements of the clients. The dealer certificate of kabelschlep. 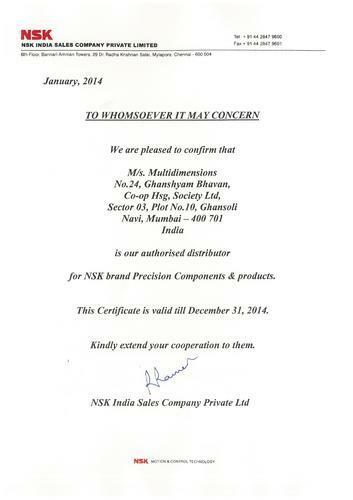 The dealer certificate of NSK.